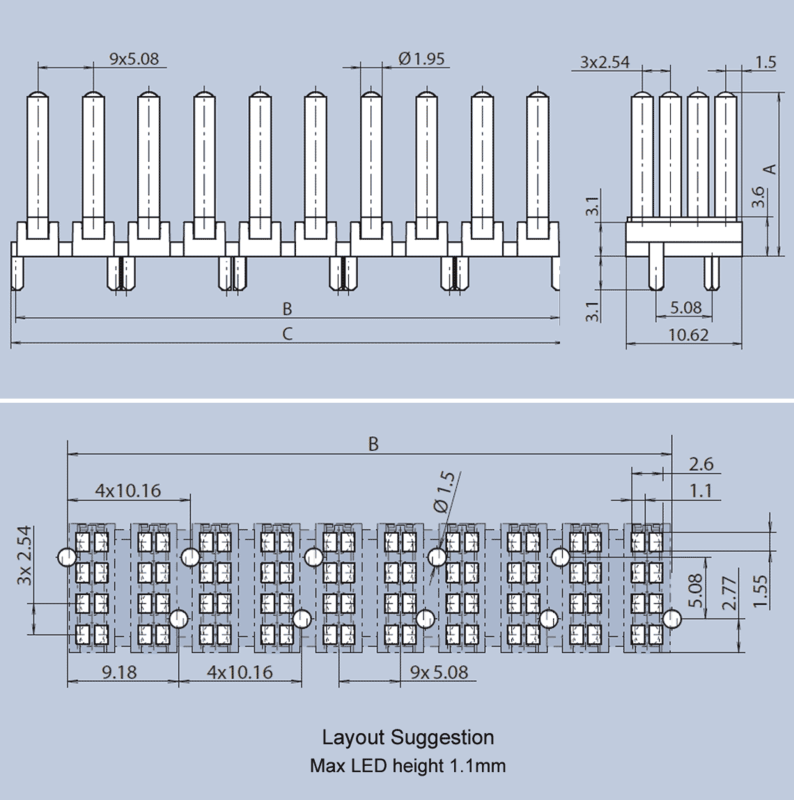 This 4-row light guide system is available in 2 to 10-column versions (8 to 40 display elements) and is designed for the 5.08 mm grid. (The columns are spaced at 5.08mm but the rows are spaced at 2.54mm). It is intended for CHIPLEDs type 0603 or smaller. An integrated diaphragm prevents light bleed, thus allowing the use of mixed colors with optimum optical quality. The light guide is mounted on the PCB via press-in lugs and is available with Length A of 15mm, 30mm or 45mm. Infinite variation of length A can be supplied from 5mm to 45mm with little or no tooling cost.